Yes, we all know Spring is just around the corner; so not many people are buying jackets and sweatshirts. Unless you’re living way up north, in which case, you still got lots of snow to wade through before the trees and flowers bloom again. 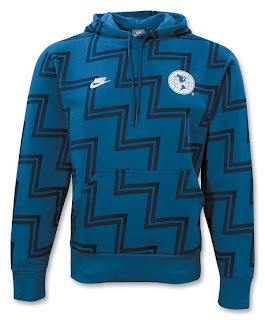 Regardless, you have to check out Nike’s new Retro range of products, including jackets, sweatshirts and—something you could wear in the Spring—t-shirts! You can find some of them HERE and you can also check out the Soccer Sweatshirts Section and finally, In this t-shirt department for more of these wild old school designs. They all have a classic team crest, for such giants as Arsenal, FC Barcelona, Juventus, Club America and Premier League and UEFA Champions League Winners Manchester United, with a throwback Nike logo. And if their unique retro style isn’t enough incentive, they’re all on Sale, like a great deal of our current inventory. So, get yourself a Blast from the Past with some amazing style!